Nick Offerman Comes Back to Denver in December and Tickets Are on Pre-Sale! Offerman's All Rise tour will stop at the Paramount Theater on December 12. 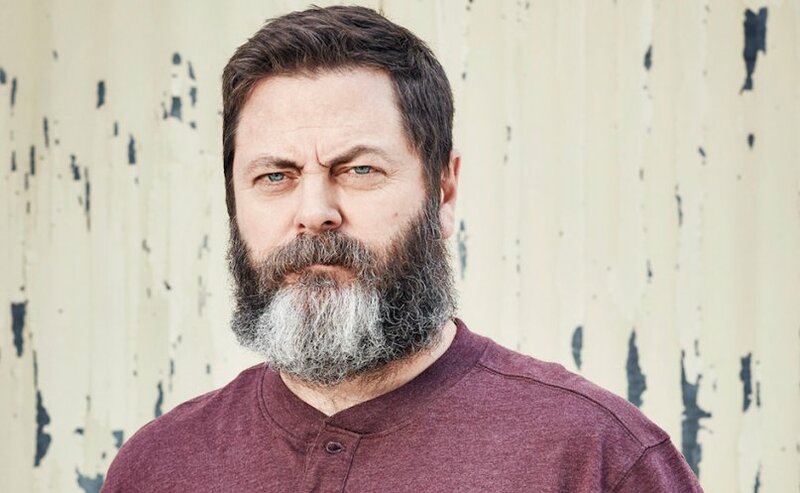 Nick Offerman, of Parks and Recreation, Fargo, and lately Sling TV commercial fame is making an appearance in Colorado. The show will be part of his 37-stop tour, his first since 2017. It is truly joyous news for the Mile High City. Really the only person suitable to describe the show is Offerman himself. The show promises an "evening of deliberative talking and light dance that will compel you to chuckle whilst enjoining you to brandish a better side of humanity than the one to which we have grown accustomed," according to a press release. “My aim in this undertaking is to encourage my fellow Homo Sapiens to aim higher in life than the channels of consumerism would have us imagine,” said Offerman. “It’s a proper revival suggesting the existence of a higher power in the land than commerce, one that will cause you to pop, lock and rejoice! Come on down and hear the good news that will make you go jingle-jangle in your juice box." Tickets for Offerman's Denver show go on sale Friday, March 22, at 10 a.m. at AltitudeTickets.com, LiveNation.com, or (303)-893-TIXS. BUT, if you are a fan of Offerman, you can get your tickets now! Just go to https://www.altitudetickets.com/events/detail/nick-offerman and use the password ALLRISE in the artist presale section. If you are so inclined, you may pounce on tickets BEFORE the uninitiated general public beginning at 10 of the AM clock! Most importantly, make sure to get your tickets early because they may go fast. And you don't want to miss having some of Offerman's wisdom imparted on you. Will you be checking out Offerman's show in December? Sound off in the comments below. Mumford & Sons have added a second show to their Denver stop. Tickets go on sale THIS Friday, March 22!